Dr. Jacobs uses an integrative approach, that is she adjusts her mode of therapy to meet the various needs, characteristics, and goals of each individual. She established her private practice in Jacksonville Beach in 2001 after working in a variety of settings, including outpatient, inpatient, and residential treatment facilities. In 2013, she relocated her private practice to Ponte Vedra Beach, just south of Jacksonville Beach. 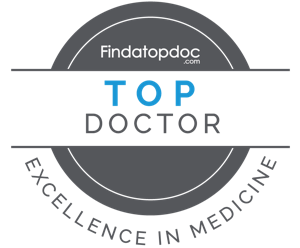 At the end of 2017, Dr. Jacobs received a Top Doctor Award for Top Psychologist in Ponte Vedra Beach. Dr. Jacobs received a BA in Psychology from the University of California, Santa Cruz, where she graduated with Highest Honors in Psychology and Phi Beta Kappa. She attained her Ph.D. in Clinical Psychology from Northwestern University Medical School. After she completed her internship at Tulane University Medical School, she did her post-doctoral fellowship at the University of California, Davis Medical School. She has published in the American Journal of Public Health. Dr. Jacobs is not only a perceptive observer and listener, but an engaged, sensitive and empathic therapist. She works with her patients in a respectful and caring manner and creates treatment plans specifically designed to foster their growth and well-being. Dr. Jacobs accepts Blue Cross Blue Shield, Tricare, Cigna and Medicare insurance. She works with people without insurance on a sliding fee scale. Dr. Naomi Jacobs is a clinical psychologist who has significant training and experience treating a wide range of people with complex problems. She works with children, adolescents, adults, couples and families. She has successfully treated individuals dealing with post traumatic stress disorder, depression and addictions. Dr. Jacobs has worked with active duty military and retired veterans and also helped their spouses and children. She works with family members to improve their coping, communication, understanding, and change their behavior toward each other. She has helped individuals recovering from emotional, physical or sexual abuse or assault, often struggling with symptoms of post traumatic stress disorder, and has served as an expert witness. Dr. Jacobs has helped people with social anxiety to develop confidence, self-esteem and social skills which greatly improves their willingness and ability to participate in relationships and activities and to have the opportunity to enjoy their lives. She works with people adjusting to a variety of losses, including the loss of significant others or aspects of themselves. Dr. Jacobs helps people adjust to and cope with chronic pain, illness or disability which often entails confronting losses and increasing ones's ability to find meaning in adverse circumstances. Dr. Jacobs helps people overcome eating disorders, having received specific clinical training in this area while completing her doctorate at Northwestern University Medical School and her internship at Tulane University Medical School. Whether you struggle with a stressful situation or a hurtful relationship or a traumatic experience, please contact Dr. Jacobs. She would like to provide you and others with beneficial support and treatment to develop constructive coping skills, positive self-worth, enjoyable relationships, and more meaningful and fulfilling lives.